Post-proceedings with a selection of extended versions of the best papers will appear as a special issue of AI Communications (IOS Press). Proceedings appear in the IJCAI 2011 Workshops Proceedings (Workshop 31). 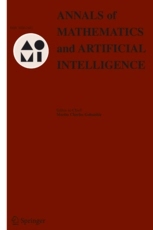 Post-proceedings with a selection of extended versions of the best papers are published in AI Communications (IOS Press), volume 25(2), 2012. Proceedings appear as Volume 616 of CEUR Workshop Proceedings. Post-proceedings with a selection of extended versions of the best papers are published in Annals of Mathematics and Artificial Intelligence (AMAI), Volume 62, Number 3--4, 2011. Proceedings appear as Volume 589 of CEUR Workshop Proceedings. Post-proceedings with a selection of extended versions of the best papers are published in Fundamenta Informaticae, Volume 107, Number 2-3, 2011. Proceedings appear as Volume 451 of CEUR Workshop Proceedings. Post-proceedings with a selection of extended versions of the best papers are published in Fundamenta Informaticae, Volume 102, Number 3-4, 2010. RCRA 2008 - Experimental Evaluation of Algorithms for Solving Problems with Combinatorial Explosion. Preface. Special issue of the Journal of Algorithms in Cognition, Informatics and Logic (Elsevier) Volume 63, Issues 1-3, January-July 2008.